The strength of the HOC program is based on the strength of the staff team. The staff development programs are the foundation of training individuals to work and succeed in the camp environment. Working as a member of the HOC Sr Staff team, the Head of Staff Development's main role is to support and improve the effectiveness of the CIT/LIT programs. This role is facilitated by establishing clear and concise goals (Lesson Plans) for the program and executing program delivery in a quality manner. In addition, the role requires that the Head ensure weekly schedules and CIT/LIT expectations are followed through, facilitate/delegate all activity and theory sessions, plan and lead a four day canoe trip in Algonquin Park (once per session) as well as a one night camping trip with LITs (once per session) and complete all CIT/LIT evaluations. Heads are responsible for teaching CIT/LIT's the safety requirements of each program ensuring that all participants use equipment properly and follow safety standards. This includes providing care to our campers that reflects the standards and guidelines of HOC's Child Care Practices. The Head of Staff Development is also responsible for taking a lead in the mentorship of HOC's first-year staff members, to ensure they have positive supports in their new job roles. Provide leadership and guidance to CITs/LITs as well as assume responsibility for their supervision and discipline. Improve the effectiveness of the CIT/LIT programs by establishing clear and concise goals. Ensure CITs/LITs provide care to our campers that reflect the standards and guidelines of HOC's Child Care Practices. Create and execute CIT/LIT programming that is age appropriate, productive, and fun. Communicate with all CIT/LITs prior to their camp arrival. Facilitate or delegate all CIT/LIT activities, theory/development, and mentor sessions. Establish strict guidelines and monitor CIT/LIT sleeping quarters and their cleanliness. Organize and supervise 2, 4-day CIT out-trips to Algonquin Park, and 4, 1- night LIT trips on HOC Property. Work with the Counselling Director to provide mentorship to all first-year HOC Staff. Provide formal evaluations (verbal or written) to all CITs each week and ensure mentor completes evaluations for the last 2 weeks of the program. 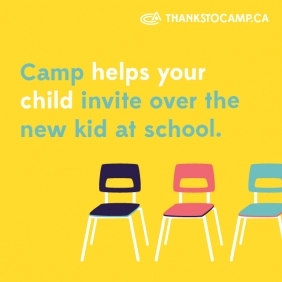 Provide formal verbal evaluations to all CITs & their parents at the end of their session. Provide formal written take-home evaluations for all LITs at the end of their session. Award and record community service hours for all LITs/CITs and provide proof in a community service letter and check-out package. Assist with all required Sunday camper check-ins. The Head of Staff Development can expect between 8-10 hrs of scheduled duties daily not including other duties as assigned based on program needs. Minimum Bronze Cross Award, NLS preferred. Must be enthusiastic, energetic and s positive person. Outdoor camping and tripping experience.